5,7-Diaryl-substituted symmetrical diazepinoporphyrazine and tribenzodiazepinoporphyrazine were synthesized and characterized using UV–Vis, MS MALDI, and various NMR techniques. The expected photosensitizing potentials of these porphyrazines were evaluated by measuring their abilities to generate singlet oxygen in organic solvents and by comparing them with that of the recently obtained dendrimeric G1-type diazepinoporhyrazine. Absorbance and fluorescence measurements were performed to study the aggregation properties of the novel macrocycles. The photocytotoxicity of tribenzodiazepinoporphyrazine towards LNCaP cells in its free form and after its incorporation into liposomes was examined using MTT assay under normoxic and hypoxic conditions. It is interesting that all tested liposome formulations maintained their phototoxic activity in hypoxia. Also, tribenzodiazepinoporphyrazine incorporated into liposomes revealed better photocytotoxic effect (IC50 values of 0.600 ± 0.357 μM and 0.378 ± 0.002 μM) than its free form (IC50 values of 3.135 ± 0.156 μM). Following the in vitro experiments, the most promising liposomal formulation containing l-α-phosphatidyl-DL-glycerol for tribenzodiazepinoporphyrazine was found. 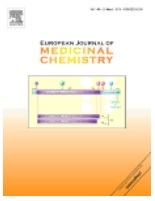 Moreover, tribenzodiazepinoporphyrazine incorporated into liposomes containing 1,2-dioleoyl-3-trimethylammonium-propane (chloride salt) revealed moderate phototoxicity at 5 × 10−5 μM for antibacterial photodynamic therapy. It was established that an irradiation of planktonic bacterial strains significantly reduced CFUs of Staphylococcus aureus ATCC 25923 in comparison to tribenzodiazepinoporphyrazine containing l-α-phosphatidyl-DL-glycerol liposomes.